Pattaya-area officials want more lifeguards for beaches and better supervision of young children to prevent drowning deaths. 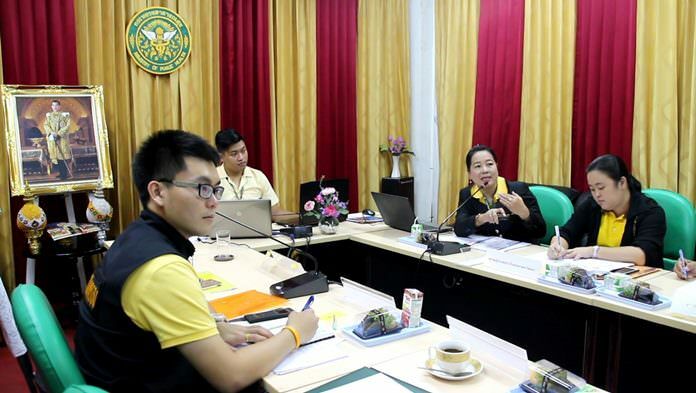 Authorities meeting July 19 at the Banglamung Public Health Department noted that the drowning deaths from Pattaya-area youths ages 5-14 have increased gradually over the past 10 years, with six deaths recorded in 2016, seven in 2017 and eight so far this year. Statistics show that indoor and outdoor swimming pools are well looked after, but deaths are occurring at lakes, rivers and in the ocean. While more lifeguards would help, parents bear the brunt of the responsibility, officials said, to ensure that their kids can swim and are supervised while swimming. Those who cannot swim should be wearing life preservers, they added.